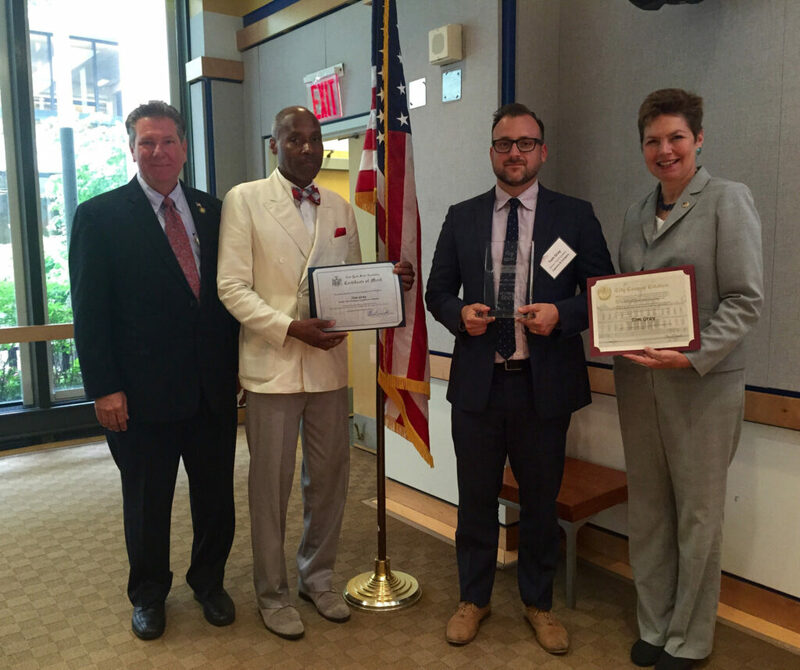 On July 30, 2015, Capalino+Company joined leaders, community members, and Commissioner of the Mayor’s Office of Veterans Affairs Loree Sutton to honor ten outstanding veterans for going above and beyond in their service to their communities. 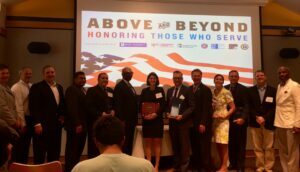 Tom Gray, a Senior Vice President at Capalino+Company and a veteran of the US Coast Guard and Operation Iraqi Freedom, was one of the honorees recognized at “Above & Beyond: Honoring New York’s Veterans & the Military” hosted by City & State. 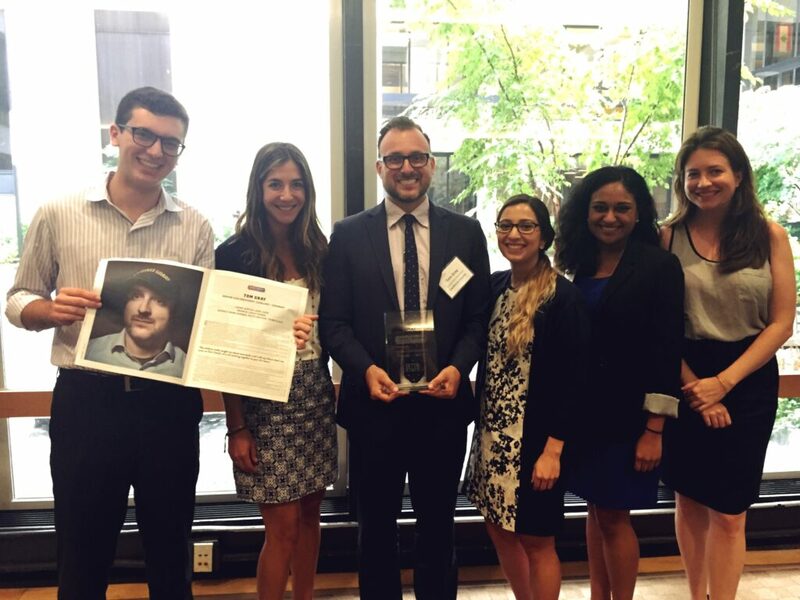 Tom was recognized for his service throughout his career in New York City – including his time in former Public Advocate Bill de Blasio’s office, leading the Greenwich Village Chelsea Chamber of Commerce, and at now at Capalino+Company. To learn more about Tom’s background read his full profile in City&State. 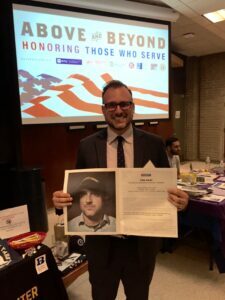 “Gray’s modesty is matched only by his passion for helping others through service, both in the military and to New York City,” said City&State’s profile of Tom. The event, which took place at Pace University in Manhattan, consisted of a career and education fair as well as an award ceremony featuring Assemblymember Michael DenDekker, Senator Bill Perkins, Commissioner Sutton, and commendations from the Chairman of the NY City Council’s Committee on Veterans Eric Ulrich. Tom Gray of Capalino+Company shares his featured profile in City&State magazine. 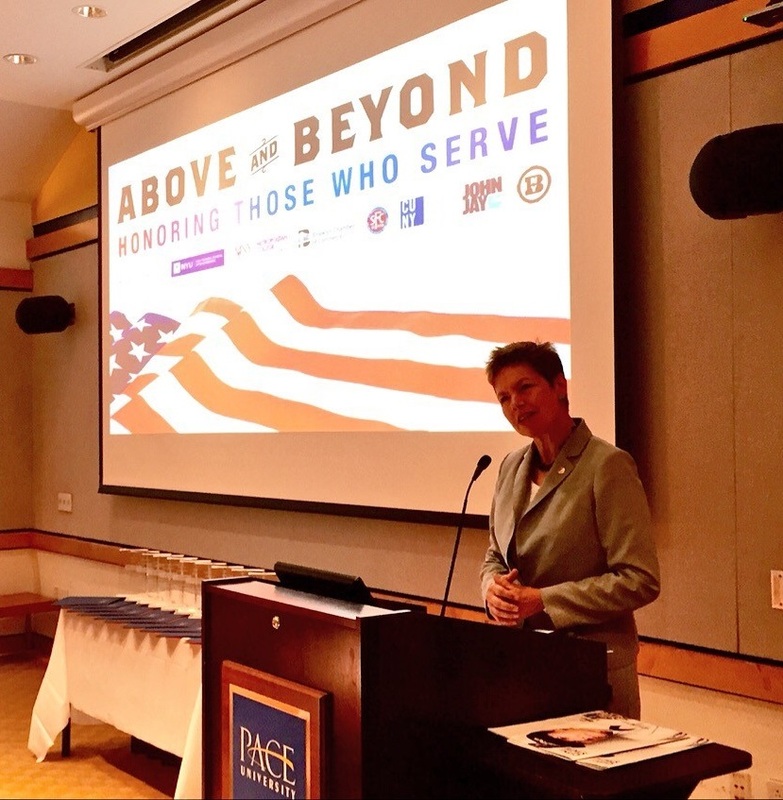 In her keynote address, Commissioner Sutton spoke about her office’s work to ensure that New York City veterans have the resources they need to succeed and thrive in the community. Calling veterans “this country’s national source of renewable energy”, the Commissioner spoke of her hope to continue innovating to provide veteran services. “We are the land of the free because of the brave,” said Commissioner Sutton in a moving statement to close the program. The other veteran and military honorees included: Welby Alcantra, Military and Veteran Services Coordinator at John Jay College; Joseph A. Bello, the founder of NY Metro Vets; Walter Bridgers, a Team Leader at Harlem Veterans Center; Kenneth Curley, President and CEO at Raymond Associates LLC; Aaron Leonard, Executive Director at Project Rebirth; Dan McSweeney, President of the United War Veterans Council; Regina Marengo, President of Ensign Engineering; and Kelly Saeli, Director of Operations at NYC Helmets to Hardhats. 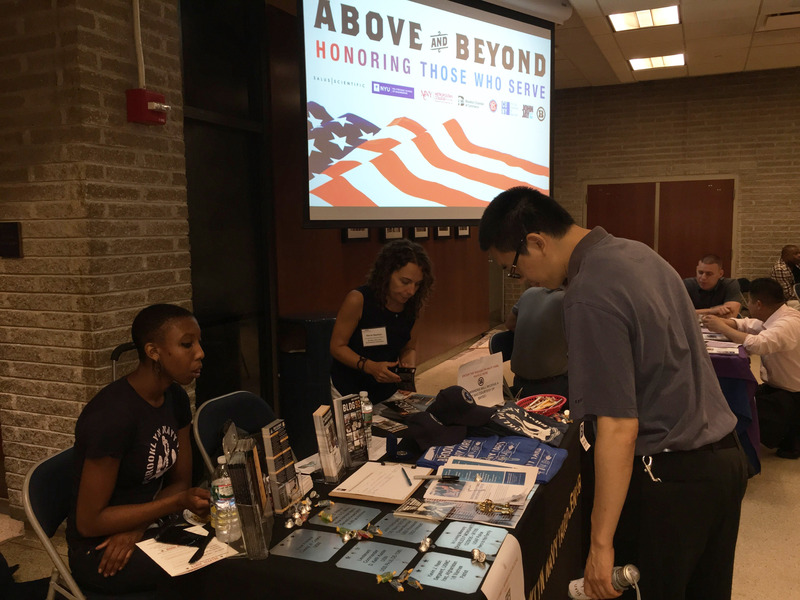 The event also consisted of a career and education fair that featured exhibitors who offer opportunities for veterans to transition back into the community through education and career development. Exhibitors and sponsors included the NYU Polytechnic School of Engineering, the Brooklyn Navy Yard, the John Jay College of Criminal Justice, the Brooklyn Chamber of Commerce, Project Renewal, the Metropolitan College of New York, Pace University, the Brooklyn Vet Center, St. Francis College, CUNY, and Salus Scientific. We are proud to participate in this event, celebrate those who have served, and honor our own Tom Gray for his service to this country. “The military really taught me about teamwork… we’re all working together as part of a team,” said Tom Gray of his own service and what he brings to his work at Capalino+Company. 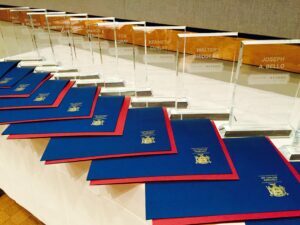 We congratulate all of the honorees and thankthem for their service, as well as the Commissioner for her work for veterans in the city, and City&State for hosting this wonderful event.